Big Pittsburgh Soccer Weekend On Tap: USWNT Victory Tour/Hounds Play "Season Defining Game"
Meghan Klingenberg and her USWNT World Cup winning teammates will all be on hand for this Sunday’s friendly at Heinz Field. With the United States Women’s Soccer team in Pittsburgh this weekend to kickoff their “Victory Tour” and on the heels of Pittsburgh Riverhounds President Richard Nightingale proclaiming Saturday’s home match vs Charlotte “the season’s defining game” – here’s your guide to a busy soccer weekend in the ‘Burgh. at Carnegie Museum of Art from 3-5 p.m. ET. At Noon in Market Square there will be a special presentation as the City of Pittsburgh honoring the U.S. Women’s team. It is expected that Pittsburgh Mayor Bill Peduto will be on hand as well as members of the team. There will be an free-to-the-public, open training session, as the U.S. Women will have their first practice together since winning the World Cup. The session is expected to take place from 11 a.m. to 12:30 p.m.
Riverhounds President Richard Nightingale proclaims this game to be “The season’s defining game” — as the Hounds (9-8-4) look to keep their lead in the playoff race of the USL’s Eastern Conference. We will be previewing this match on Pittsburgh Soccer Report later on Friday evening. 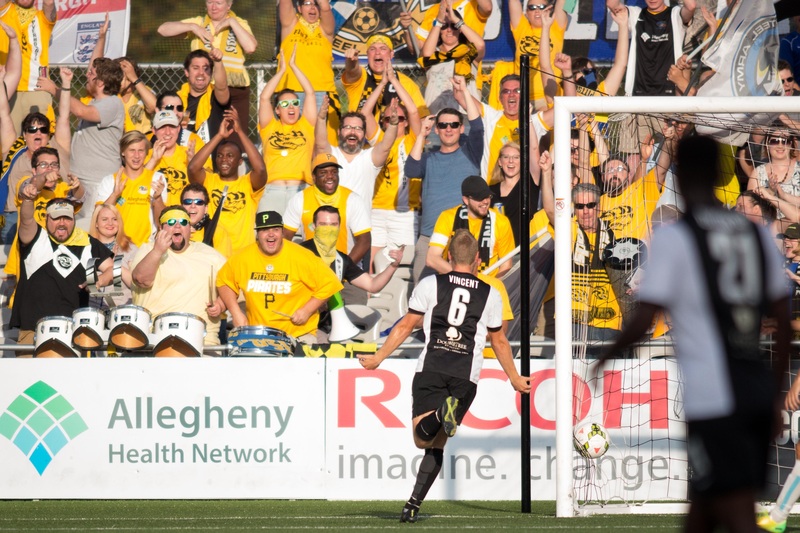 The Riverhounds are expecting a packed house on the South Side. We are expecting to see over 44,000 fans break an attendance record for a women’s friendly match held in the United States as all 23 members of the World Cup winning U.S. Women’s team will be on hand including Pittsburgh’s own, Meghan Klingenberg. Fans are encouraged to come take their photo with the iconic trophy, which is normally located at the United States Soccer Federation’s headquarters in Chicago. The U.S. Women’s National Team won their third Women’s World Cup trophy earlier this summer, defeating Japan 5-2 on July 5 in front of more than 53,000 fans at BC Place in Vancouver. 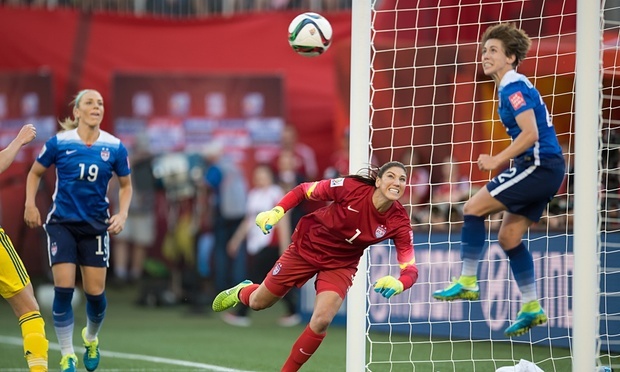 The match was watched by a domestic TV audience of more than 25 million, making it the most watched soccer game in U.S. history. The Women’s World Cup Trophy will be on display throughout the U.S. Women’s National Team Victory Tour. Dates and times for further display will be released prior to the matches in the specific markets. You can follow this weekend’s soccer action in Pittsburgh — by following Pittsburgh Soccer Report’s John Krysinsky on Twitter @johnkrysinsky or check out Pittsburgh Soccer Report’s Facebook page.